Missing teeth can cause a lot of distress to both the functionality and the aesthetics of your mouth. Tooth loss occurs naturally during age loss, and many patients that come to us for help are edentulous or approaching edentulous. Thankfully, there are many solutions available, and modern technology and advanced approaches to treatment make these treatments more reliable and comfortable than ever before. As well as single tooth replacement, Friedman Dental Group offers dental implant treatment options for patient’s upper jaw, lower jaw, or in some cases complete treatment for the whole mouth. We understand that patient’s have different needs, and one of the major differences is the location of the missing teeth. Whether you require a new upper arch of teeth, or a new lower arch, we can adapt our services in relation to bone structure and the placement of teeth. For the patient, the upper jaw and lower jaw treatment are very similar. It is during the consultation phase that your prosthodontist will discuss your options with you. At Friedman Dental Group we offer a complimentary consultation in which our specialists can make a professional diagnosis, and recommend treatment options to you. If you need a full replacement upper or lower arch, we usually aim to offer the fewest implants possible to support your new teeth. The Teeth In One Day treatment has made it possible for patients to receive either an upper or lower arch with just four implants. In the case that you require a replacement set of teeth for your entire mouth, we may be able to offer a complete treatment that covers both upper and lower at the same time. This will depend on a few factors, and sometimes it is better to treat the upper and lower jaw separately. We will let you know on the day of the consultation. Following the consultation, we offer a free dental examination and CT Scan, which then allows us to plan and prepare your implant treatment and replacement teeth, according to your exact situation and tailored finely to your mouth. All you have to do is turn up to surgery. If you require upper jaw dental treatments, then you might opt for permanent fixed teeth, or patient-removable dentures. These dental treatments are for patients who require a full arch of new teeth. We install the titanium implants into the roots of the missing teeth, where they will eventually fuse to the bone in osseointegration. Two are installed at the front of the lower jaw, and two at the back. On the day of surgery, we will install implants into the upper jaw. Traditionally, the upper jaw would require more implants than the lower, but the Teeth In One Day treatment means we usually install two implants at the front of the upper jaw, and two at the back, deep into the anterior maxilla. These implants will eventually fuse to the bone, and will provide support for the replacement teeth. We can then attach the abutment on the same day, and then set your temporary replacement teeth. During your consultation you would have opted for fixed replacement teeth, or patient removable teeth, and at this stage either one of these will be placed. 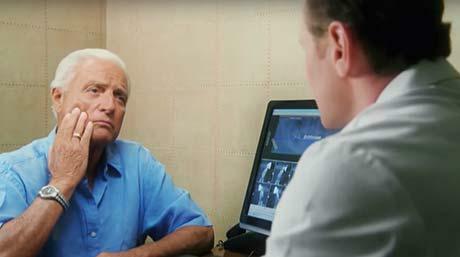 Upper dentures can be easier to get used to and better fitting than lower dentures. The implants take several months to fully heal, but during this time you will still be able to enjoy your fully functional and beautiful temporary teeth. 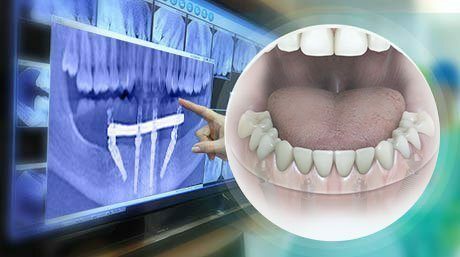 When the healing is complete, you come back for one more day of simple surgery, in which we give you a permanent set of replacement teeth: new fixed teeth or dentures that will be perfectly accurate following the healing process. If you need lower jaw dental treatment, then you will go through almost exactly the same procedure as in the case of upper jaw. Of course, there are differences, but mainly these differences are to do with how and where the implants are placed. The same method is followed for lower jaw dental implant treatment as for the upper, and again we try to use the Teeth In One Day treatment where possible, so that only four implants are needed for the lower jaw. In the case of the Teeth In One Day treatment, we can apply the abutment straight away, and then fit a temporary set of replacement teeth or snap-on dentures. These temporary teeth will be functional, and will look and feel like natural teeth. Some people find that lower jaw dentures take more getting used to than upper jaw dentures, but the snap-on denture implants negate this by providing solid support. When the implants have fully healed, which usually takes several months, you return to the treatment centre, where we will fit a new set of permanent fixed teeth, or give you a new set of snap-on dentures. These new teeth will offer precision accuracy and comfort following the healing process. In a lot of cases patients know that they will eventually become edentulous, and will need replacement teeth for their entire mouth. On the day of the consultation, your specialist will talk to you about your options for a full dental treatment. 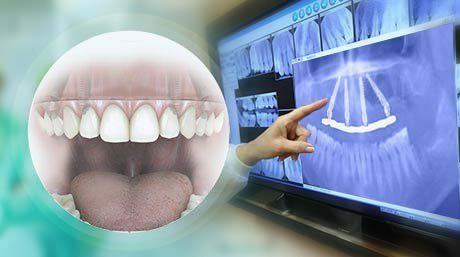 In some cases, they will decide that it will be more comfortable for you to have upper jaw and lower jaw dental treatments separately, while in some cases it may be the best option to deal with everything in one go with a complete dental implant treatment that covers both the upper and lower jaw. Contact Friedman Dental Group to find out more, or to arrange a free consultation.